Sonja Alexandra Drakulich is an internationally-acclaimed performing and recording artist, best known as singer, producer, composer and founder of world music ensemble, Stellamara, and as singer and percussionist for the Northern European Medieval-Folk band, Faun. 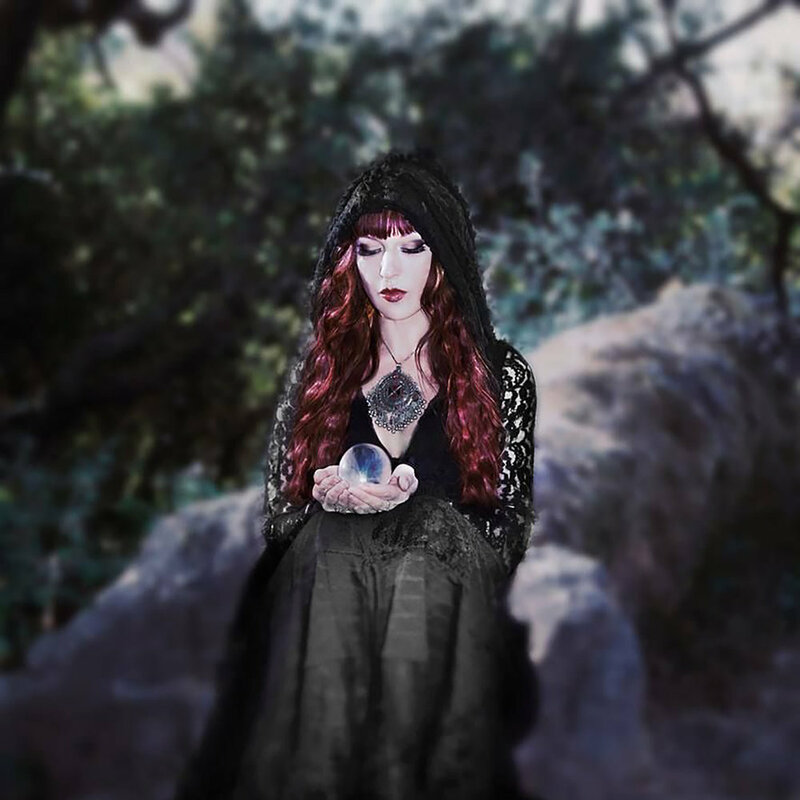 With Stellamara, she has toured throughout the US and Europe and has produced three critically-acclaimed CD releases, five star reviews from Alternative Press, Electronic Musician, New Age Voice, SF Weekly and many other notable publications, with albums in the top ten of the World Music Charts. With Faun, she completed three years of extensive touring throughout Europe and recorded on their top ten charted, platinum albums Von den Elben and Luna, from Universal Music. She is also a creative expression coach, somatic arts coach and renowned vocal instructor, offering sessions, workshops and concerts worldwide. Her clients include public figures, professional singers and dancers, actors on mainstream networks, martial artists, and elite performers, coaches, healers, as well as students and professionals from all walks of life. Sonja has toured internationally with the Mevlevi Dervishes as a singer and percussionist, throughout Indonesia with the Gamelan theater group, Situbanda, performs as lead vocalist with Persian dance company Ballet Afseneh, and is the featured “Aerial Vocalist” with cirque company Lucent Dossier, performing while suspended up to twelve meters in the air. As a recording artist, Sonja is known for being a rare combination of vocalist, percussionist, composer, producer and sound engineer. Her primary passion is in creating original music in her studio and in contributing her vocals for other projects, primarily for electro-acoustic producers, eastern modal music, and for fantasy drama films, television series and documentaries. As producer of Stellamara, she has created showcase tours featuring dance artists Colleena Shakti, Zoe Jakes, Rachel Brice, Miriam Peretz and Auberon Shull, and performs with Stellamara at concert halls and theaters and festivals such as Lightning in Bottle and Symbiosis. Additional festival highlights include: Beloved Festival and Faerieworlds (Oregon), Castlefest (Netherlands) Entremuaralus (Portugal) and Festival Medieval (Germany). Sonja continues her studies of psychology, philosophy as well as music, with emphasis in somatic therapy, Vajrayana Tantra yoga, and the intersection of neuroscience, quantum physics, and personal transformation. Sonja is devoted to her work in helping others find healing and coherence through the instruments of the body and sound. Throughout her studies and her career as producer, performer and teacher, she continues to maintain her focus on the devotional aspect of song, and on intercultural unification through music, healing and consciousness.